There is no question that - as Edward, the writer of the excellent EVK4 blog recently discovered -I take this blogging thing seriously. Maybe at times a little too seriously, I freely admit. After all, it's just a blog...and I'm just one voice amongst many at this point focused on sailing. But there are a few reasons for my earnestness that I'd like to touch on as we welcome 2007. The first is that I very much believe in the medium of blogging…as silly as the word might sound against a more staid outfit like "The New York Times" or "The Nightly News with Jim Lehr" or even "SAIL Magazine." By this I mean that I believe in the power of a group of passionate, dedicated writers using a self-publishing Internet tool called a "weblog" to deliver insight, entertain, create dialog and knit together a community of like-minded people who share a passion for a particular topic. I've said more than once in this space that the proliferation of sailing bloggers and the collective contribution of their perspectives have made for far richer coverage that the "dead tree" sailing publications can hope to provide alone. For proof of this I'll make a prediction for 2007 - look for mainstream sailing pubs to increasingly pop weblogs of their own as publishers recognize they risk being left behind. The other reason is that I've put an awful lot of damn work into this thing over the last 22 months. And though I've been blessed with a steady stream of readers from all over the world, some of who comment and at times recognize me in their own weblogs...thoughtful directed feedback is rare. All of which leads me to publicly express gratitude for being, once again, listed in the "Top Ten Sailing Blogs" of the year by the "Granddaddy" of sailing bloggers, ProperCourse. 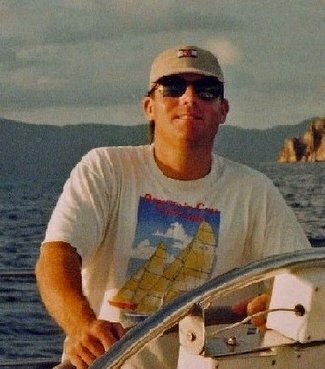 Not only has he captured some of the most exciting new (and re-nominated a few old) voices in the still nascent world of sailing weblogs...he has also paid me a tremendous compliment that is all the more encouraging in so much that it comes from a writer (and sailor) who I respect deeply. Happy New Year to you all! I have a feeling that 2007 is going to be quite a year. Enough serious talk about the business of knitting the sailing community together and all that. Now when are you going to get in your first sail of the year? We braved the chill and got in a quickie yesterday, en route to hauling the boat out to prep for a road trip.